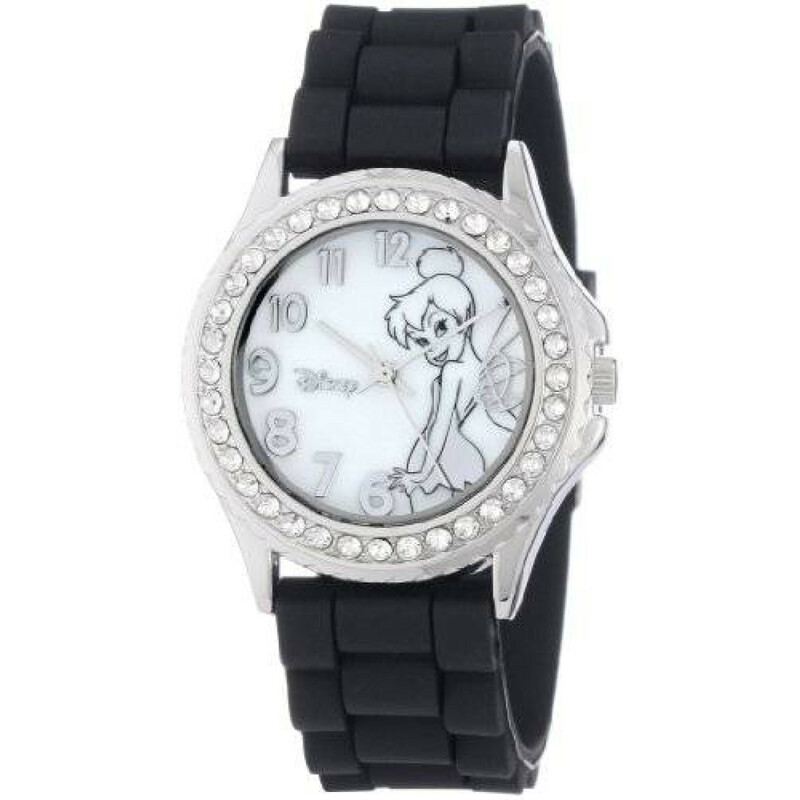 Keep track of time with your favorite Disney character on your wrist with this casual and sporty women's watch. Bling round case with clear rhinestone accented, lovely Tinkerbell on durable genuine Mother-of-pearl dial, Arabic numeral display, black silicone rubber band with buckle closure that easy to adjust the size to fit on your wrist. 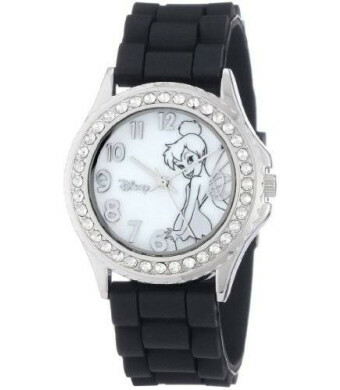 It is also powered by quartz movement.